Houseboat Electrical Charging System - diagnose, troubleshooting problems? The houseboat electrical charging system is not working properly, and i would like to diagnose, or try and troubleshoot the problem? I am looking for a website or a person which I can ask questions concerning the charging system on my older houseboat. It has a 318 Dodge engine I believe and not sure if the guy that had it before me knew what he was doing and changed some things around. Anyways, now it's not working correctly, any help is appreciated. Brian. Well Brian, welcome to the houseboat forums, and sorry to hear about your electrical charging problems. I wish you had been a little more descriptive about issues that you're having, we might be able to guide you in the right direction. 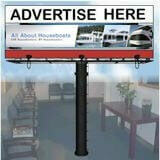 You will find that electrical problems can be common especially on older houseboats. Often it can be poor connections or often dead batteries that cannot hold a charge anymore. 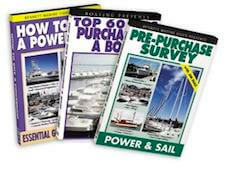 You will find that having a few tools, especially a voltmeter meter and a boat engine repair manual will be an invaluable addition in any boats repair tool kit. want to first see if the alternator is actually charging at @14 volts when the engine is running. If you only have @ 10-12 volts with the engine running, than the problem is with your engines charging alternator circuit. 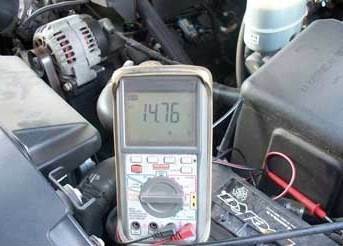 You can also test the voltage on your engine battery to see whether the problem exists there. The voltage should realistically be anywhere from 11-12 volts, and you could also use a load tester to test the batteries capacity to run a heavy load (like an engine starter). A load tester is used to apply a hypothetical load ( a high current amperage drain) on the battery to verify the batteries capacity to hold a charge. You can possibly borrow a load tester from your auto mechanic. 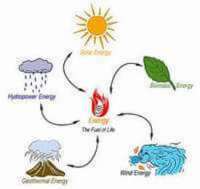 Sorry I can't be more specific, since I don't have enough information, but if you can post some more details describing the problem, we may all be able to troubleshoot or diagnose the situation. Lastly, hopefully some of our readers will share and post comments about their houseboats electrical charging and repair experiences. Feel free to use the "Click here to post comments." link found near the bottom of this page. 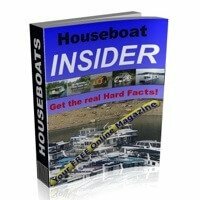 Comments for Houseboat Electrical Charging System - diagnose, troubleshooting problems? It would be helpful to know the specific problem. 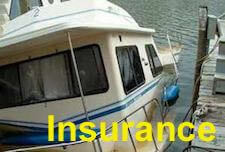 Make and year of boat, whether inboard, veedrive, or outdrive, breaker ignition or electronic. Usually there is an engine manual with the boat. 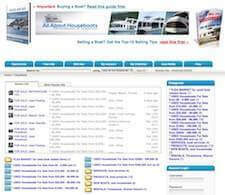 In any event manuals are availble if year model is known. This houseboat was bought a few months ago and I have replaced the batteries, alternator, and a regulator. There are a couple of other boxes attached to the engine that have no markings on them so I'm not sure if they are really needed or what they even are there for. The boat is in the marina which is a ways away from my house, and I don't get to go there as much as I want or need...planning a trip there this weekend or next, and will try to find more info about the whole situation ...thanks again.